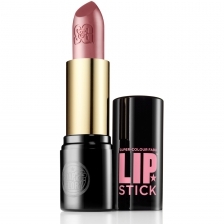 I read with delight the recent news about Soap&Glory’s new cosmetic line, in particular the fabulously-named lipstick 'Super-Colour Fabulipstick'. I’m sure many Mary Poppins fans will join me in my glee. What a freakin’ genius name. I know Marcia Kilgore (owner of Soap&Glory and a beauty-business icon of mine) is partial to a darned good product name, with a cheeky innuendo here and a clever play on words there. But 'Super-Colour Fabulipstick' just took it to a whole new level. So imagine my surprise today when I read British Beauty Blogger’s post on New York fashion designer Kate Spade’s lipstick line that’s heading to our shores called ‘Supercalafragalipstick’. At first I thought they were the same name, although upon a quick check I saw that Soap&Glory’s name had taken the play on words up a notch, so both are perfectly within their rights to use the names. It just goes to show that good product names are like buses. You don’t hear of any for ages and then two come along at once. I can only imagine the frustration when this kind of thing happens; I spend a lot of time generating product names for beauty brands as part of my job, only to have them declined by legal for having some tenuous link to another of the millions of beauty products already out there. It can take ages to name just one shade of eyeshadow. So for both brands I sympathise and hey, great minds think alike.